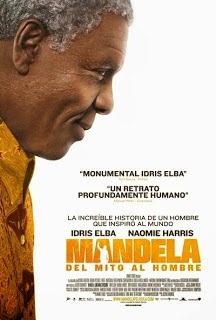 Reparto: Idris Elba (Nelson Mandela), Naomie Harris (Winnie Mandela), Mark Elderkin (Sophiatown Policeman), Robert Hobbs (Cheif Warden), Grant Swanby (Sergeant Voster), Theo Landey (Brian Widlake), Gys de Villiers (FW De Klerk), Terry Pheto (Evelyn), Carl Beukes (Niel Barnard), Adam Neill (Percy Yutar). Vestuario: Diana Cilliers y Ruy Filipe. Productoras: Videovision Entertainment, Distant Horizon y Pathé.